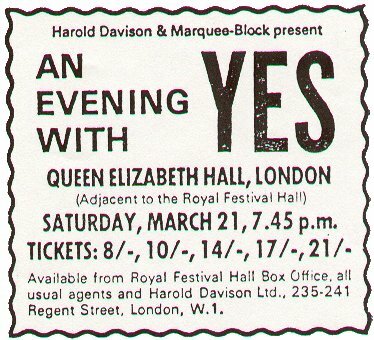 Yes have recorded a considerable success with their first major solo concert. They tried a brave experiment with added strings and brass conducted by Tony Cox. Although it suffered from amplification problems the group scored all the way playing at a peak which earned a kind of 'musical break-through' audience reaction which marks the point when a group have 'arrived'. 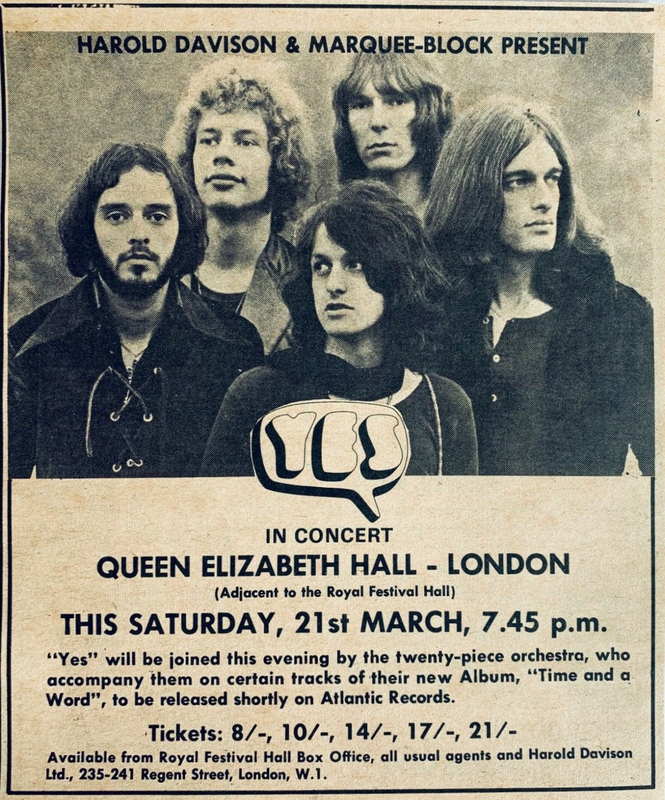 I was at the concert at the QE Hall in March 1970. 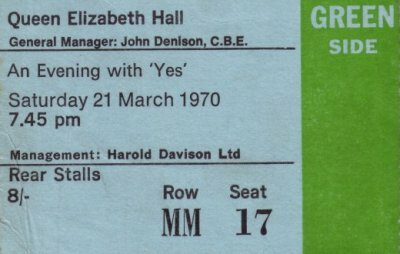 I remember that Yes were supported by a female solo singer who played accoustic guitar, her name I have never been able to remember as she is not mentioned in the programme. For years I thought it was Bridget St. John but now I'm not so sure. Yes played mainly from Time and a Word which I think had had just been released, the live version of Astral Traveller was magnificent. Chris Squire's solo on bass on one track fooled the lighting crew into putting the spotlight on Peter Banks, he stood rather sheepishly in the glare of the light before pointing to his left to Chris Squire who was in darkness. A great evening.